Just ran out of stock for this title! Waiting List available. This volume examines the Abhidhamma perspective on the nature of phenomenal existence. Included are the theory of double truth, analysis of mind, theory of cognition and the nature of time and space. It begins with a discussion of the Dhamma-theory which provides the ontological foundation for the Abhidhamma philosophy. It then explains the category of the nominal and the conceptual as the Abhidhamma's answer to the objects of common-sense realism. 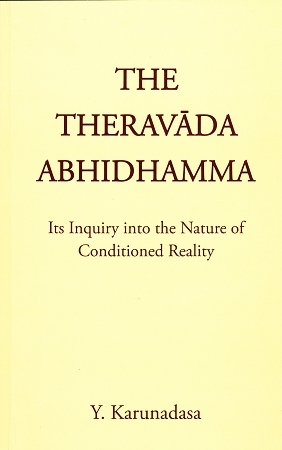 The volume concludes with an appendix whose main purpose is to examine why the Theravada came to be known as Vibhajjavada, 'the doctrine of analysis'.